Turn of the year promises to be an exciting time for all gamers who are in for a proper Chinese treat with Microgaming’s brand new release titled Huangdi: The Yellow Emperor. What we can expect is a 5-reel, 3-row and 25-payline slot game dealing with the subject of a man who is regarded as the single most influential rulers in Chinese history. With the legend of Huangdi still very much alive and adored, Microgaming’s game tribute has all what it takes to be a safe bet within the huge pool or players from the Far East. Chinese-theme lovers will have to wait until January, but we have been able to pick on some details and this below are the early impressions of the Microgaming up and coming title. Huangdi: The Yellow Emperor is a dynamic game, which makes it different to many a Chinese themes we have encountered so far. 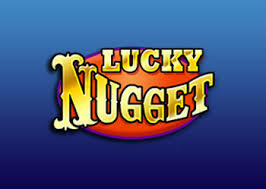 This is the furthest as it gets from usual soothing and peaceful, luck-chasing slot games. Huangdi is a war-theme, revolving around the historical battle of Zhuolu and Huangdi’s triumph against the rivalling tribe. The fact this game deals with an actual moment in time of Chinese history and that it is backed through the cultural heritage of the nation is making it quite appealing. Microgaming’s January release will great excitements within an action-packed gameplay, which is another thing we love about this slot. Huangdi comes with stacked symbols on the first reel which will make all other matching symbols on other reels expand in order to boost your winning chances. Three Dragon Scatters will initiate the Free Spins round consisting of 15 complimentary rounds, which can be re-triggered anytime during the feature itself to ideally grant you whopping 30 free spins. This universally loved feature is spiced up by the stacked Wilds which make other ones on the reels expand much to your delight. The free Spins feature can ideally reward you with up to 60,000 coins which is just another loveable aspect of the game. Microgaming is the top game developers, among the very best in the industry, but they still haven’t gone the extra mile when it comes to making this game really pop up. It might be just our own subjective opinion, but we do not find the Huangdi: The Yellow Emperor a very visually appealing slot. Graphics seem a bit unpolished and lack the cinematic 3D experience that would have made this game stand out from the crowd. We find Huangdi to be just a mediocre Chinese game, which should have been created to be a more fitting tribute to such a huge persona. It can all be attributed to us being not that big of the fans of Chinese games. When we draw a line, they all seem the same to us. Recognisable graphical edge, soundtrack that is as predictable as it is annoying and – in this case particularly – not quite an eventful affair. 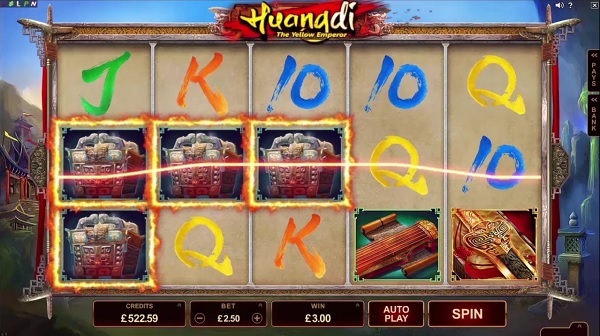 Huangdi benefits from a single extra feature – Free Spins. They might be everyone’s favourite, but he overall impression would have been greater if this game came with a multiplier of some sort or at least some kind of an engaging bonus round, taking you to a different settings in a form of a mini in-game. Microgaming did well enough to keep the gaming public enticed and on edge by producing nothing more than a short promo video about their brand new game. It is long enough to give us the clear idea of what to expect and we, as not that big of fans of the Chinese theme, might not be the best of people to ask for a final opinion. Overall, the game fails to impress us.